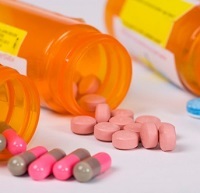 Can Syncing Prescription Pickups Reduce Medication Nonadherence? As more pharmacies adopt programs to reduce medication nonadherence, more research is needed to determine how effective they truly are. Pharmacies which use medication synchronization programs to reduce medication non-adherence need to carefully consider how best to implement their programs in order to produce positive results for all of their patients, according to a recent study published in the American Journal of Managed Care. The study sought to understand the prevalence and effectiveness of medication synchronization programs, which have recently become popular in pharmacies as a means to reduce medication nonadherence. These programs adjust prescription amounts for patients managing multiple medications so that they can collect all their medications during a single visit to the pharmacy,, making it easier for them to manage their self-care. Through interviews with leaders in medication synchronization and leaders in patient advocacy programs, as well as a complete literature review, the researchers found that these programs are becoming more prevalent. In total, medication synchronization programs exist in 10 percent of independent pharmacies, 6 percent of stand-alone chain pharmacies, and 11 percent of retail store pharmacies. , However, the study concluded that more research is needed in order to determine the effectiveness of medication synchronization. Although evidence of the effectiveness of medication synchronization was scant, the researchers still identified leading pharmacies in the practice and determined some of the qualities which make them successful. Specifically, the researchers identified four main characteristics that defined a successful medication synchronization program, such as technology to track and identify patients who would benefit from the program, increased patient engagement with the pharmacist, care coordination between the pharmacist and healthcare provider, and flexible solutions for patients such as options from synchronization start dates and refill timing. The research team also identified pharmacist buy-in as an important factor in the success of a medication synchronization plan. Programs that lacked pharmacist buy-in often resulted in slower rollouts of the program and worse overall performance. “Several approaches to improving pharmacist buy-in have been implemented, including tailored training tools and educational materials emphasizing to pharmacists the benefits of practicing ‘at the top of their license’ and having more sustained patient interactions over time, as well as the use of small pilots prior to full roll-out to identify pain points, solicit pharmacist feedback, and refine training materials,” the research team explained. Despite these best practices, medication synchronization programs often face several challenges, such as patients having certain medications that may be filled at the pharmacies, and others that must be filled via mail. This hinders the process of synchronizing all medications, and may cause confusion for patients having to fill medications through two different avenues. Some programs may also see implementation costs as a challenge, however the researchers explained that the costs recouped through increased prescription fills may resolve that issue. Likewise, programs to reduce medication non-adherence can also be a part of an overall rebranding strategy as a part of the industry’s overall shift to patient-centered care. Although the researchers say there is little research indicating the effectiveness of medication synchronization, they still maintain that more research should be done to understand its nuances. Medication non-adherence is a major cost burden in the healthcare industry, costing millions of dollars annually between neglected prescriptions and avoidable hospitalizations. Going forward, the researchers said, these alternative prescription options will need better assessment in order to create successful results.